Before we get over-excited, let’s have a look at the past. 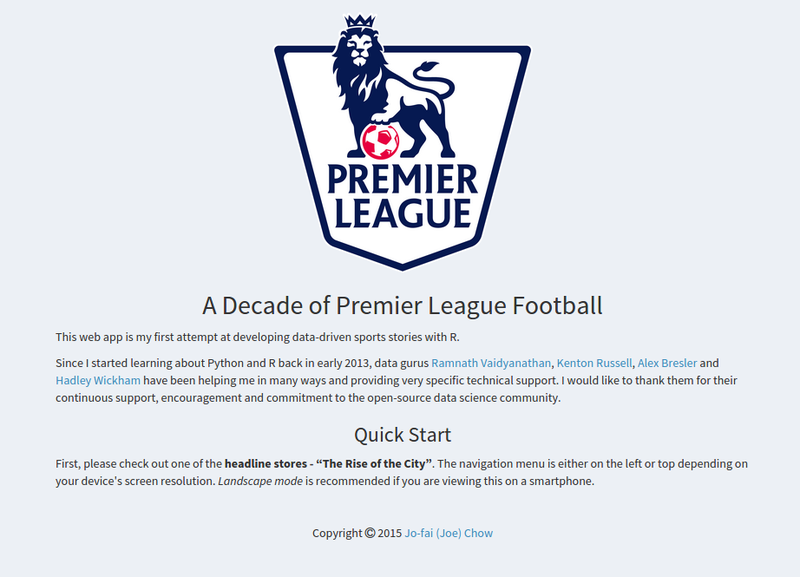 Here is a shiny app to visualise some stats from last ten seasons. It is my first attempt at developing data-driven sports stories with R, Shiny and Shiny Dashboard. Those stories ain’t new, but I had always wanted to visualise the data instead of just reading them from articles. … as well as the survival race.